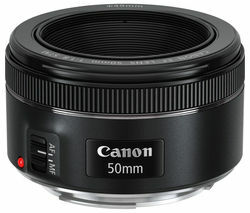 Canon lenses have been the choice of professional photographers worldwide for more than half a century. Incorporating state-of-art features and superior lens quality, whether you want to capture stunning landscapes or experiment with macro photography, there’s a perfect Canon lens for you. 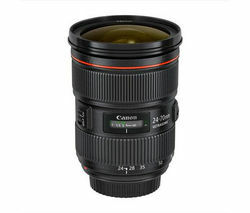 Canon lenses are designed to fit its fantastic EOS digital SLR range. Easily interchangeable, they allow you to switch between photography styles in seconds. Its EF lenses are great for those looking to try out new techniques and expand their photographic skills. From compact and easy-to-carry lens extenders that are ideal for travelling, to heavy duty telephoto zoom lenses, Canon enables you to capture professional images wherever you go. The Canon lens range includes standard zoom, fixed focus, wide-angle, telephoto zoom, and prime lenses too. All feature silent focus so you can get as close to your subject as possible without disturbing the moment. Some lenses feature built-in image stabilisation, which reduces image blur at slower shutter speeds, as well as automatic panning detection and auto-focusing, for lenses that are infinitely more usable in a wider range of settings. From the professional photo lab to you, Canon lenses will help you achieve stunning results, whatever you want to capture. Take a look at our Canon DLSR range to match your lens.